Apparently we're after a £4 million fee to sell Maja during the January transfer window. Jack Ross will have to move quickly to replace Maja with a little over a week left in the transfer window, but the fee received will help bolster the Sunderland manager's late-window transfer budget. Will Grigg is the fella everyone is talking about, including Ross, but Sunderland are yet to meet Wigan's valuation of the fella on fire. Cardiff City and Celtic are the two clubs making the loudest noise in the rumour mill as potential destinations for Maja. However, a move to the Bundesliga is also being discussed with Maja's agent's close ties with the German top division. Stuttgart, Cologne and Wolfsburg are reportedly quite keen. It makes complete sense to me for Sunderland to cash in on Maja while we can. If we are willing to, that's enough for me to believe he has no intention of signing a new contract. But can Grigg, or another replacement, replace his goals? He has already scored 16 so far and, let's face it, nobody else at Sunderland looks capable of providing the consistent goals he does. That is the ultimate concern. We're pushing for automatic promotion, something we've slipped further away from in recent weeks - can we really afford to offload our top scorer at such a crucial part of the season? To me Sunderland's draw woes wouldn't go away if we keep Maja. There is something stopping us from scoring enough goals and keeping enough clean sheets to put teams to the sword. Teams have got out of this division with far less quality than we have in our ranks, so simply we shouldn't need Maja to get promoted. That is, providing we are able to sign a suitable replacement. Ross needs to revisit our tactical approach to games and recognise that defenders know how to defend against our wing-play. 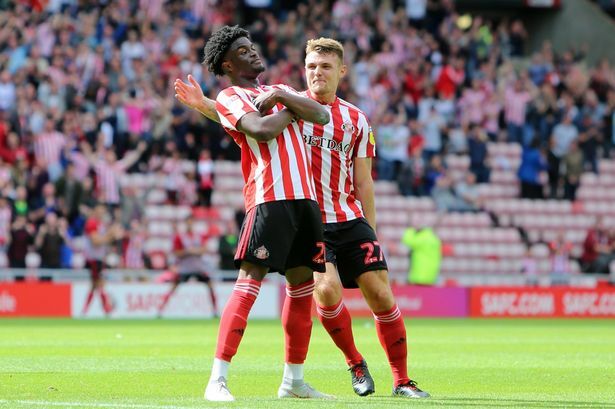 We need to vastly improve the gap between defensive midfield and attacking midfield (do we already have the answers to the in George Honeyman and Luke O'Nien? ), we need to use our attacking full backs a lot more and we, perhaps most importantly, start getting clean sheets. I think Maja is a great player and he'll score goals wherever he goes, because he has that natural ability. However, Sunderland could do with the coin right now to get a few more quality players in to really take this league by the scruff of it's neck and get out of it.